Eat right and exercise — that’s the conventional weight loss wisdom. Unfortunately, this limited view discounts the power of many other mechanisms which we can harness to create the body and health that we want. Forward-thinking research is revealing the ability of aroma and our sense of smell to help us shed unwanted pounds. We’re not saying you should swap your gym membership for an aromatherapy diffuser, but it definitely wouldn’t hurt to integrate this tool into your weight loss arsenal. You might be wondering how aromas in the environment could possibly affect the size and shape of your body. The fact is the perception of scent causes reactions in various bodily systems. For example, researchers found that inhaling the body odor of an ovulating woman caused men’s bodies to excrete more testosterone, while the scent of women in a non-fertile part of their cycle didn’t elicit this response. It’s clear that smells have subtle yet complex and powerful effects on the function of the human body. This is even true whether the smell is real or imagined. You can observe this phenomenon right now while reading this article. Think about a juicy lemon, holding the firm yellow fruit, then cutting into the lemon and some juice sprays out. Imagine picking up the lemon and inhaling that fresh, sour scent. Is your mouth starting to water? You may not be aware of them, but there are other bodily processes that also kick in when you begin to salivate. The pancreas and liver start producing bile and enzymes, and the whole system gets ready to digest food and burn calories. Grasping this opens the doors to understanding how smelling certain foods could ignite bodily responses which, in turn, can result in weight gain or weight loss. Science has shown that a sense of smell can contribute to weight gain, either directly or indirectly. 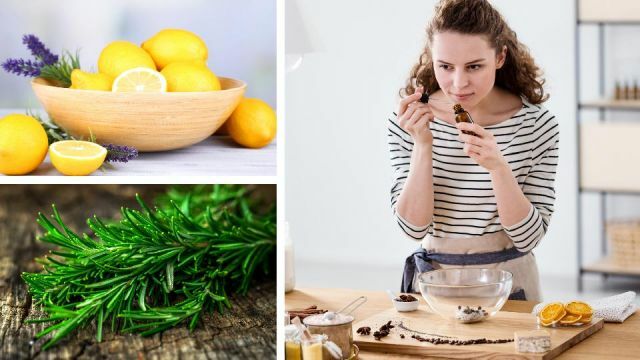 A 2016 study demonstrated that smelling a sweet smell like vanilla increased study participants’ craving for junk food like chocolate and candy while inhaling a fresh scent (a citrus and mint blend) made them less likely to want to indulge in these foods. While a sense of smell informs the body about the type of calories we are consuming and helps us enjoy our food, this can be a blessing and a curse. A 2017 study performed on mice found that the group of animals with their sense of smell removed stopped gaining weight, and experienced improvements in fat mass and insulin resistance. On the contrary, a healthy sense of smell can be influenced in such a way as to reduce the desire to consume calories. That’s what a weight loss product called Sensa does. It consists of sprinkles which, when applied to a meal, are designed to enhance the smell and taste of the food and trigger the eater to feel full sooner. This concept is built on research that has identified a feedback loop whereby food smells and tastes different once we have eaten to satiety. While removing or intentionally manipulating our sense of smell may be a bit drastic, we can perhaps influence these powerful bodily systems in a positive direction by using scents that naturally ignite the fat-burning response. Aromatherapy has been used for thousands of years in traditional wellness and medicine to create an atmosphere, aid relaxation and support healthy body functions, one of which is a balancing body composition. We can access these fat-busting aromas whether through whole foods or with extracts like essential oils. Scientists have found that the bright and energizing scent of lemon triggers lipolysis, which is the breaking down of body fats. Research indicates that inhaling peppermint helps control appetite and cravings, which facilitates weight loss. This bitter citrus fruit is a well-known appetite suppressant that revs up metabolism and helps balance cholesterol. Just inhaling the aroma of ground coffee increases energy and focus and may ignite fat-burning processes. The classic scent of lavender, or other blossoms, like jasmine, fosters relaxation, which shuts down the production of the stress hormone cortisol and thus facilitates the shedding of extra body fat. Many woody scents such as cypress, spruce, frankincense, eucalyptus and sandalwood are known to be beneficial in traditional healing like Japanese Forest Bathing, or shinrin-yoku. Studies show that this practice is beneficial in lowering stress and inflammation, which can be underlying factors that cause the body to hold on to excess body weight. We can simulate the experience by simply inhaling these forest aromas. This classic spa vegetable aids in relaxation and could help prevent stress-induced eating. Research has shown study subjects who sniffed green apples and bananas were able to curb weight gain. A study found that the aroma of olive oil can trigger satiety reactions in the brain, so not only is eating this healthy oil beneficial but smelling it is too. Citrus aromas like clementine, wild orange or bergamot are powerful mood-boosters to stop emotional eating, and have also been shown to balance blood sugar and cholesterol levels. Smelling this aromatic culinary herb could suppress the desire to eat. Sniff rosemary essential oil when you feel a craving coming on. This warming spice is known to balance blood sugar levels and prevent cravings, helping prevent weight gain. Research shows that ginger directly prevents the storage of body fat and the development of obesity. Animal research has shown that the inhalation of fennel aroma results in improved digestion and fewer calories consumed. This oil is rich in antioxidants and could optimize detoxification pathways, supporting the shedding of excess pounds. The fresh scent of lemongrass has been found to combat mental fatigue and lack of energy, and is traditionally used for detoxification which could support weight loss. Now that you know which scents can trigger weight loss, it’s time to choose your favorites and set yourself up with an aromatic toolbox. Create a healthy habit of inhaling your favorite fat-fighting scent whenever you feel like reaching for a junky snack, or before a meal to prevent overeating. Discover more unexpected natural weight loss tools. Hey Buddy!, I found this information for you: "Smell These 16 Things To Lose Weight". Here is the website link: https://www.thealternativedaily.com/smell-these-16-things-to-lose-weight/. Thank you.